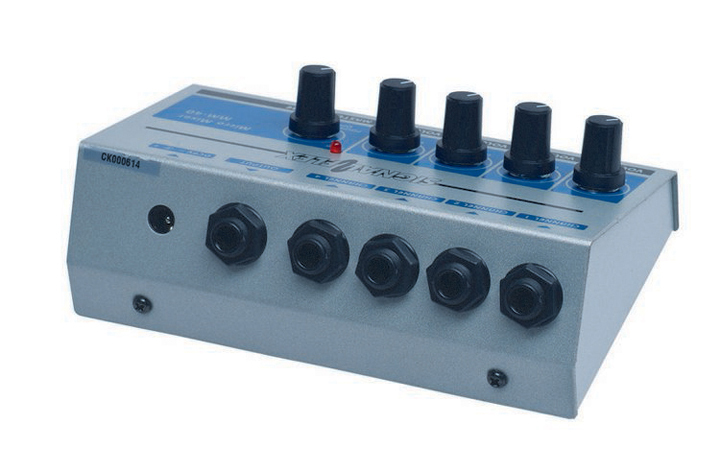 4-Channel Micro Mixer connects mics or instruments to amplifier via four 1/4” input jacks. Each channel has its own volume with a master volume control for final mixed output. 9V battery powered. 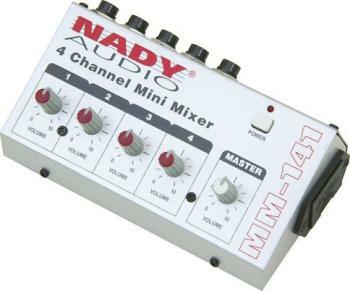 A pocket sized microphone/instrument mixer. Convenient and easy to use. Just connect mics or instrument to any, or all, of the four 1/4" input jacks. Connect the 1/4" output jack to the mic. or aux. jack of the amplifier. Each channel has its own volume with a master volume control for final, mixed, output. Designed for low power consumption. 9V battery powered.